PHILADELPHIA (AP) — Nick Foles will get another shot to lead the Philadelphia Eagles to the playoffs. 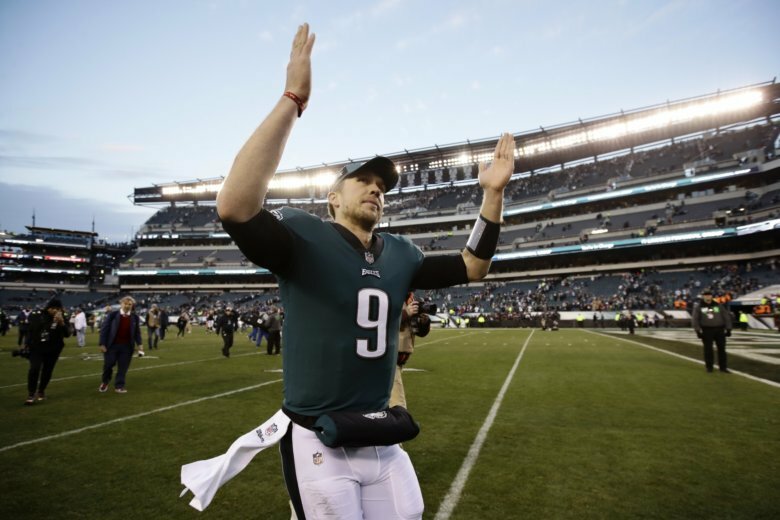 Coming off a record-setting performance in a 32-30 comeback win over Houston, Foles will start when the Eagles (8-7) visit Washington (7-8) in a must-win game Sunday. Coach Doug Pederson announced Monday that Foles will remain under center, though it’s no surprise because Carson Wentz hasn’t been cleared to return from a back injury that has forced him to miss the last two games. The defending Super Bowl champs will earn the NFC’s second wild-card spot if they beat the Redskins and the Vikings (8-6-1) lose at home to the Bears (11-4). Wentz will stay on the active roster so there’s a chance he could return if the Eagles stay alive. It would be tough to bench Foles, however, if he continues to play at a high level. Going back to Foles’ first stint in Philadelphia, he’s 22-7 as a starter for the Eagles since going 1-5 his rookie year in 2012 on a 4-12 team that cost Andy Reid his job as coach. Notes: WR Mike Wallace was activated from injured reserve and CB Josh Hawkins was promoted from the practice squad. CBs Chandon Sullivan and De’Vante Bausby were released. Wallace hasn’t played since he broke his right fibula in Week 2.